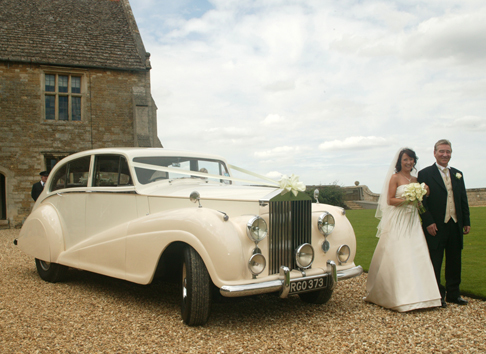 This beautiful 1955 Rolls Royce Silver Wraith in a subtle two tone shade of ivory is a very special car for your wedding day transport, being originally hand built for major Horace Dodge of Windsor. It enjoys ample leg room in the rear compartment together with its drop-down picnic tables and footrests certainly will give a feeling of grandeur being chauffeur driven on your wedding day. Ideal for carrying up to 4 passengers.